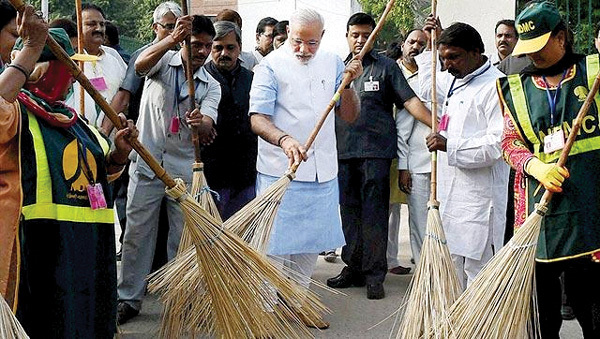 India’s ‘Swachh Bharat’ campaign is a good example of how countries can make safe sanitation services accessible to all, said the World Health Organization (WHO). The Swachh Bharat World Toilet Day Contest organized by the Ministry of Drinking Water and Sanitation culminated today with massive community activities across States and districts. School children, health workers and Anganwadi workers and common people came out in large numbers on World Toilet Day to reaffirm their commitment to keep their villages open defecation free. Men, women and children took Swachhta oaths; school children marched through villages and performed plays spreading the message of Swachhta; videos and other demonstrations were shown on the use of twin pit technology; mass hand washing drives were taken up and Swachhta champions were awarded and recognized.